For many people, having their own home is a part of their life plan. Buying a home is a huge investment and is one of the largest purchases that you’ll ever make in life. However, before you decide to jump into the amazing world of homeownership, ensure that you are well prepared. You should learn about the credit score requirements, the mortgage options, homeowners insurance principles, and other important things that you should be in the know of as a first step. Your mortgage lender will probably require you to have a homeowners insurance. You might be required to buy additional insurance such as flood insurance. It’s important to note that you are not required to purchase from one particular insurance firm. Instead, you should compare coverage, price, customer reviews, and homeowners insurance quotes. Ensure that you get the right amount and type of coverage. You should always shop for value and not necessarily the rock-bottom prices. Since you will mainly deal with insurance firms during times of disaster, ensure that the company that you choose has several positive customer service reviews. If you are like most homeowners, you will take the monthly insurance payments to the mortgage check. The lender shall pay your insurance premiums out of the escrow account. Lenders usually prefer this option since it enables them to know you are paying your insurance premiums and their investment is protected well. Most likely, you will have to pay for 1 year of insurance cover at closing. Bring forward the information on the insurance policy that you’ve chosen as well as the money to cover the insurance premiums for the first year. HO-2 – This is a broad policy that will protect you against 16 perils named in the insurance policy. HO-3 – This is the broader policy that will protect you against all perils except the ones that specifically excluded in the policy. HO-5 – This is the premium policy that normally protects newer and well-maintained homes. The policy covers against all perils apart from those that are specifically excluded in the policy. HO-6 – This refers to insurance for co-ops or condominiums that include liability coverage, personal property coverage, and coverage of the improvements to the homeowner’s unit. HO-7 – This is quite similar to the HO-3 policy, but it’s meant for mobile homes. HO-8 – This policy is specifically meant for older homes. It has similar coverage to the HO-2 policy except the fact that it covers the actual cash value only. Deductible: Deductible refers to the amount that you must pay from your pocket before the insurance kicks in. Higher deductibles usually mean lower annual premiums. Liability Coverage: This refers to the coverage that will pay for legal or medical bills in case someone gets hurt on your property, normally due to negligence. Personal Property: Also known as the contents of your new home. Personal property is tangible property like furniture, clothing, and electronics. Premium: This refers to the price that you pay for insurance, annually or monthly. Replacement Cost: This refers to the type of insurance that usually pays the total cost of replacing your personal property or dwelling up to the maximum dollar amount. Even though most standard homeowners’ insurance policies offer the replacement cost, you should make sure that the maximum amount is high enough. Actual Cash Value: This policy gives homeowners the current cash value (together with depreciation) for your dwelling or personal property. Sub-Limits: Even though homeowners’ insurance quotes will include limits, they will typically also have sub-limits. For example, sub-limits on a personal property for a 500,000 dollars policy would normally be 250,000 dollars or 50% of the dwelling coverage. Riders: This refers to the policies that you can include on the overall insurance policy so as to cover certain items. For example, expensive jewelry, artworks, and antiques are usually covered under their own rider since they are too valuable to get covered as regular personal property. Also, some HO-8 policyholders might get extra riders for things such as ventilation, air-conditioning, and heating systems that are part of your home yet they’re too expensive to replace. 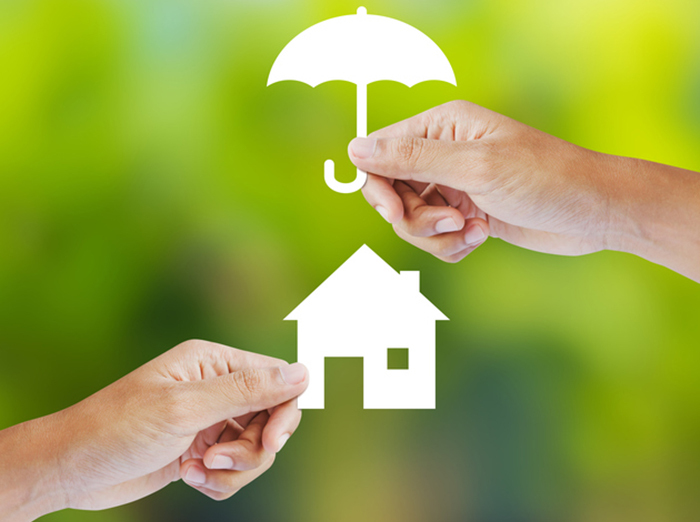 Ensure that you understand how all these terms work in homeowners’ insurance policies. Do not hesitate to ask questions to ensure that you have the right coverage at the right price.